I made sure to pick up a copy of Elle Magazine at the start of the year to try the sample size Roller Lash mascara from Benefit which came with the March issue. I'd seen lots of reviews already popping up across the blogosphere and with They're Real! 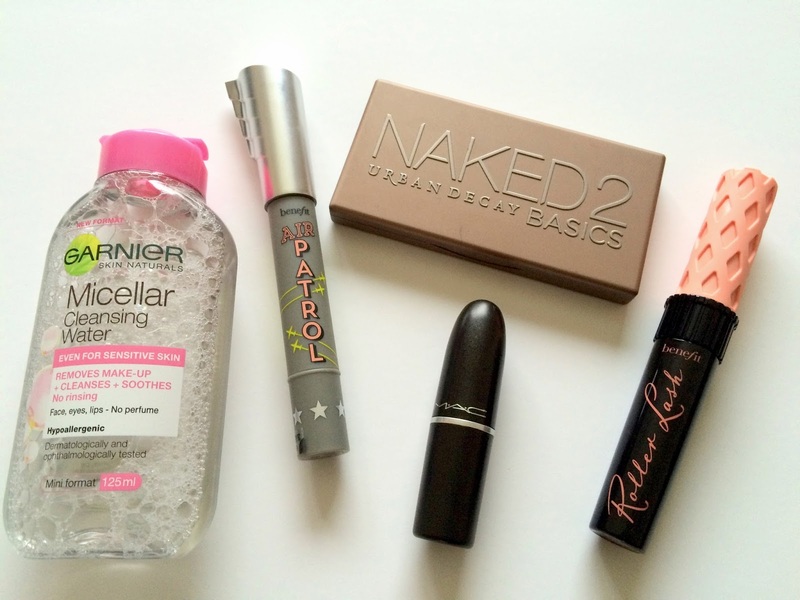 being a firm favourite of mine I was keen to try Roller Lash too. 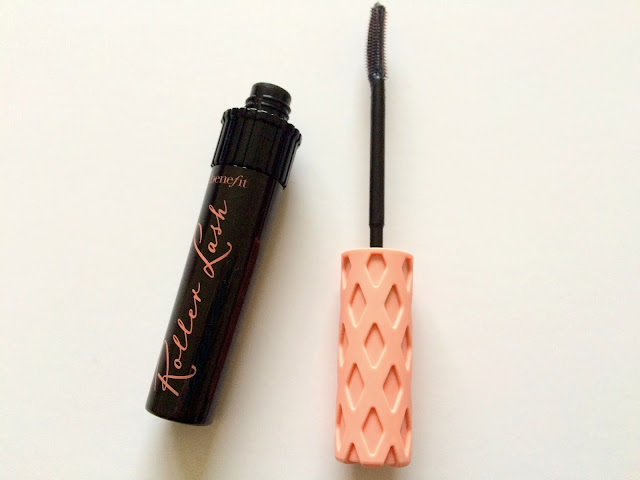 It exceeded my expectations and instantly became my everyday go to mascara. Previously I'd often find myself using numerous mascaras to try and achieve a lash perfect look but Roller Lash does all of this in one! Its hook and roll brush curls, separates and lifts lashes and gives you a wide eyed finish. I've repurchased this twice since and I'm sure it'll remain a firm favourite in my make up bag this year. I remember the hype around the launches of the Urban Decay Naked Palette's and wondering what all the fuss was about. I thought it seemed like a lot of money to spend on eyeshadows and doubted that I'd use many of the shades. 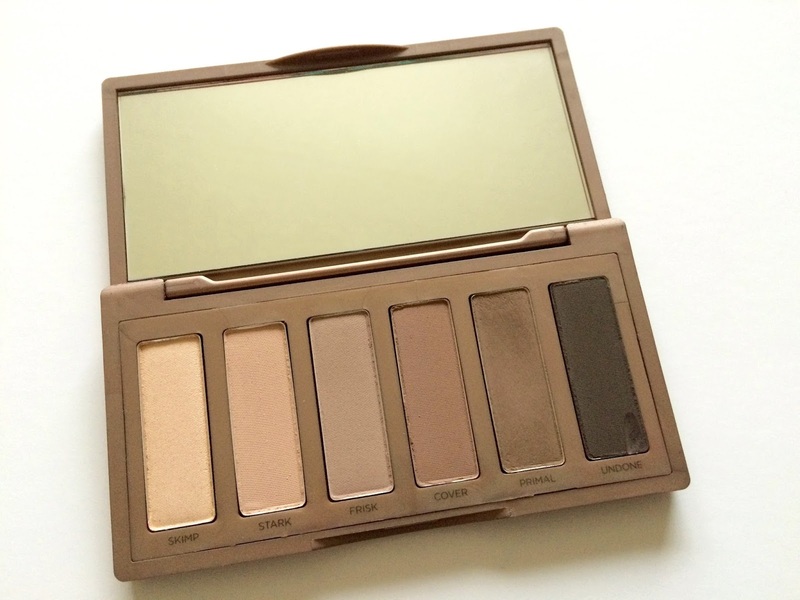 However when I discovered the Naked Basics Palettes on offer one day last December I added it to my birthday wishlist and I was lucky enough to receive the Naked Basics 2 Palette for my birthday at the start of the year. I love the range of shades in this palette and the pigmentation of the shadows. Primal has become an everyday favourite (I wish they sold it separately too!) The palette is small enough to fit in my make up bag and it's been great for trips away to save having to pack multiple individual eyeshadows. It's no surprise another Benefit item has made it into my top 5 of the year. I'm rarely disappointed with their products! I was really pleased to receive a sample size Air Patrol in September as part of one of their social media campaigns. I've never tried an eyelid primer so I was slightly sceptical if it would work. I was happy to discover the first time I used it that it definitely does! 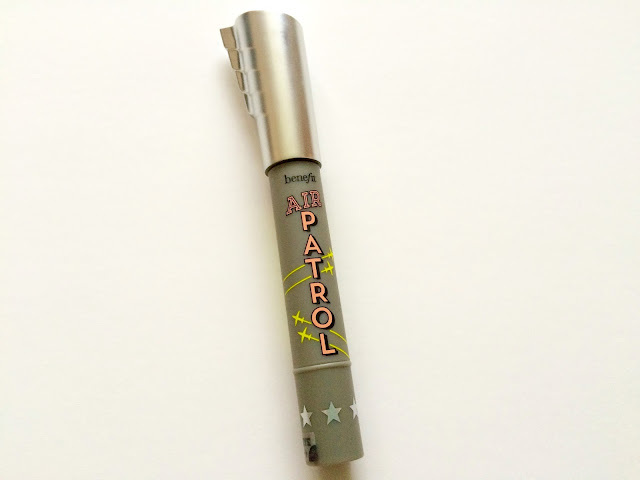 I always used to hate how my eyeshadow would crease or fall towards the end of the day but Air Patrol resolves this. It feels cooling when you apply it too. I've found it really handy recently for events such as weddings when you want your make up to last all day. I've found it helps eyeshadow last for 12+ hours. I received a full size Air Patrol for Christmas so I'm very pleased I'll be able to use it more in the New Year! 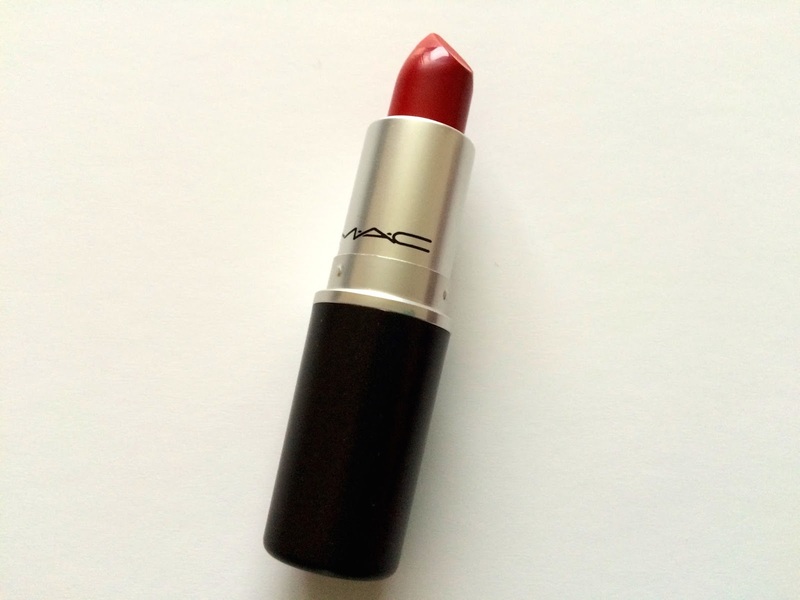 Mac Russian Red is the first Mac lipstick I've owned. I wanted a classic red that I'd get a lot of wear from. It's the perfect true red shade and gives a matte finish. It looks great as an everyday red lip for the winter months and it's my go to for a night out or special occasions. I've bought a few other red lipsticks throughout the year but this remains my favourite. 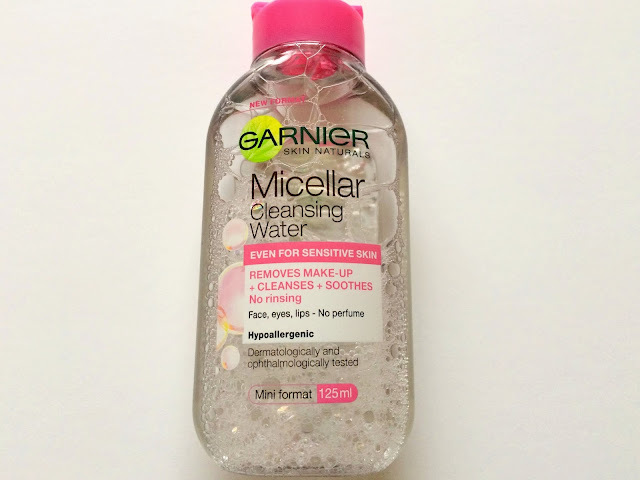 I'd never paid much attention to Micellar water in the past believing it to be something people seemed to be stocking up on when visiting French pharmacies or paying extortionate shipping fees to get their hands on. When I saw that Garnier had released a version I decided it was worth a try. I was instantly converted and now wonder what I did before! I use it to take off my make up before using a cleanser. It even removes stubborn eye make up. I have one of the big 400ml bottles for using at home but find the mini 125ml bottles really handy for when I'm away. You can often pick up the mini bottles for 99p in Home Bargains and Bodycare. What are your favourite beauty products of 2015?